Start selling your work with this exciting 5-part course! Breaking into a new industry can be confusing. There are so many options, how can you know the best way for YOU to sell your designs? We've made it simple - explaining your options and helping you build a textile design business you'll love while earning money selling your work. Wondering How To Sell Your Artwork In The Textile Design Industry? successful textile designer for just $7.99! Every successful business begins with a dream. We'll help you identify your passions and create a business vision to guide your journey. You'll find your hidden strengths, evaluate your professional skills, and create a foundation for your design business. We'll give you the inside scoop on selling through an agent or studio. We'll share the benefits and the drawbacks and tell you what to look out for every step of the way. We'll even share tips for presenting your work for representation. Many designers work as freelancers - selling their services and work on a project basis to companies and clients in the textile design industry. Is this life right for you? We'll help you explore how to sell and price your services and what it takes to be successful as a freelance designer. Do you have what it takes to sell your own work? We'll help you evaluate your personality and professional design skills to see if this is the right fit for you. We'll share best practices and options for marketing your work and the share the business skills you'll need to market and sell your designs. 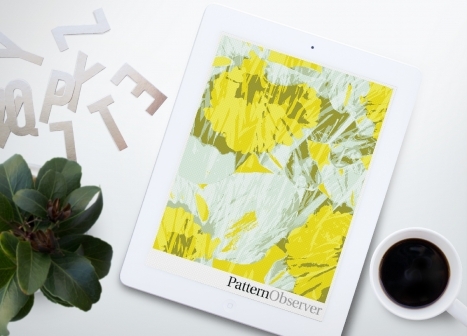 What does it take to build a successful textile design business? Now that you know your options, we'll help you put it all together into a formula that's just right for you. You'll explore topics such as working with clients, managing your time, and building a profitable business as a textile designer. Copyright © 2017 Pattern Observer LLC. All Rights Reserved.